Christmas is right around the corner and gifting can be the most stressful part of the season! Marble lovers can be the hardest people to buy for; once you’ve replaced the counter tops, what else can you really do? If you have a marble lover on your list, take advantage of this lineup, curated by the marble-lovin’ team at Kreoo. Marble has really stepped into the 21st century and has made its mark on the tech scene. 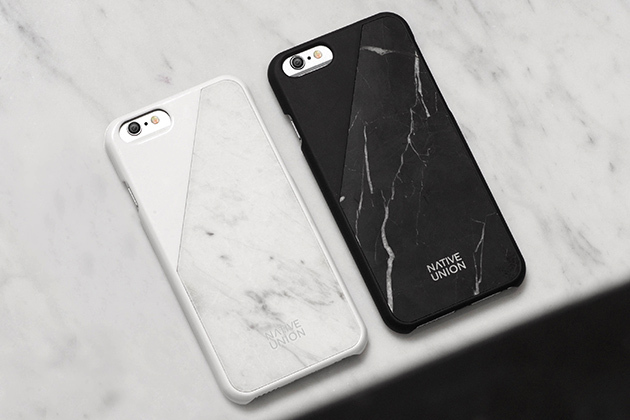 If your marble lover is also into Apple, try one of these gorgeous iPhone cases by Native Union. Marble is such a beautiful stone, it’s no wonder that it makes for stunning jewelry. This trendy marble and gold pendant from Kakao by K is a perfect example of the stone’s versatility and style. Marble coasters like these beauties are a great “home” gift that will add just a hint of marble to a living room. These might be the perfect present if your “giftee” is just dipping their toes in the world of marble. And for the loved one completely in the throes of a marble obsession, a brand new bathroom would make a perfect Christmas surprise! Marble sinks, marble walls, it’s a stone lover’s dream! What’s the best marble themed gift you’ve ever received? Comment below and tell us!